My dear readers, I have something super exciting to announce!! As most of you know, I have a YouTube channel where I also post tutorial videos for certain knitting and crochet techniques. I’m a big fan of tutorial videos, being a very visual person so I benefit greatly when something is shown to me, rather than just written out. 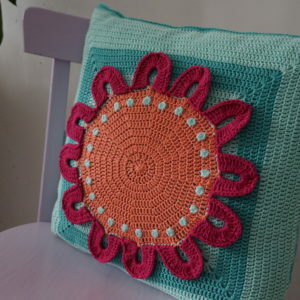 I always try to write my patterns in such a way that it is easy to understand for most, but still, tutorial videos are just the BEST! Now, why am I telling you this? Well, I always receive a lot of requests for tutorial videos and I’d LOVE to do more of them, but the truth is that it takes a lot of time and effort to publish what may seem like a simple and quick tutorial video. So I’ve been thinking how I can make it possible to film more tutorial videos that will keep both you and myself happy! So… get ready! 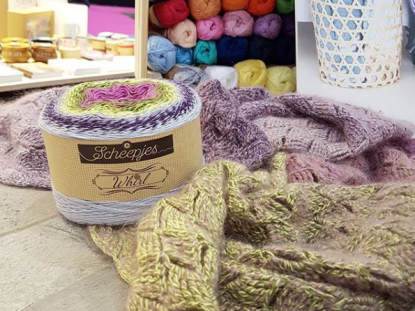 *drumroll* I’m launching a membership platform in collaboration with Patreon for EXCLUSIVE knitting and crochet tutorial videos!! HOORAY!!! Let me explain to you why this will be amazing! (Yes, I’m pretty excited, lol) So, know some of those subscription tutorial websites where you pay a monthly fee and you get to watch how-to videos? 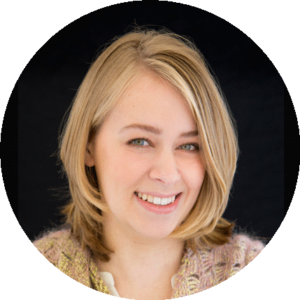 Like Craftsy, Creativebug.. I’m planning to launch a Patreon page where I will be posting tutorial videos which will be exclusive for my supporters – my patrons! 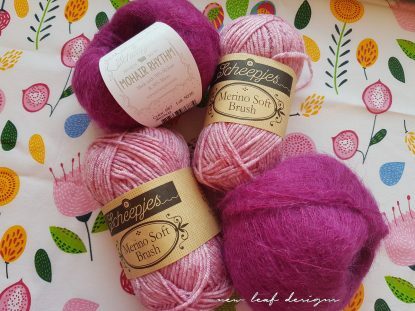 Imagine a full tutorial series on how to fix mistakes in knitting; specific tutorial videos for my paid patterns.. 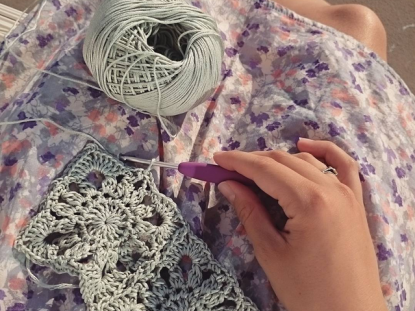 In short, tutorial videos that will lift your crochet and knitting skills to a higher level! At a higher support level you can even request specific tutorial videos you’d like me to make! You can read all of the details right here on my Patreon page. 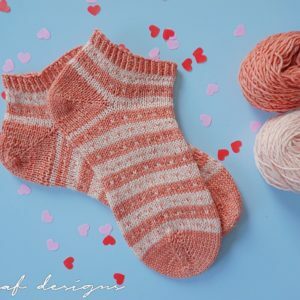 A membership for exclusive tutorial videos costs $5 per month, and you’ll also receive a 10% discount code for any paid pattern in my Ravelry store! 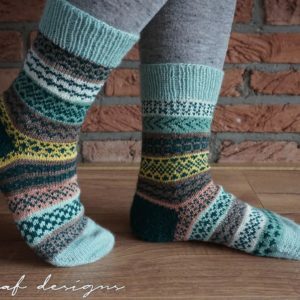 For $8 per month, you will also receive a FREE sock knitting pattern including step-by-step tutorial videos and you’ll receive a 15% discount code for my patterns. 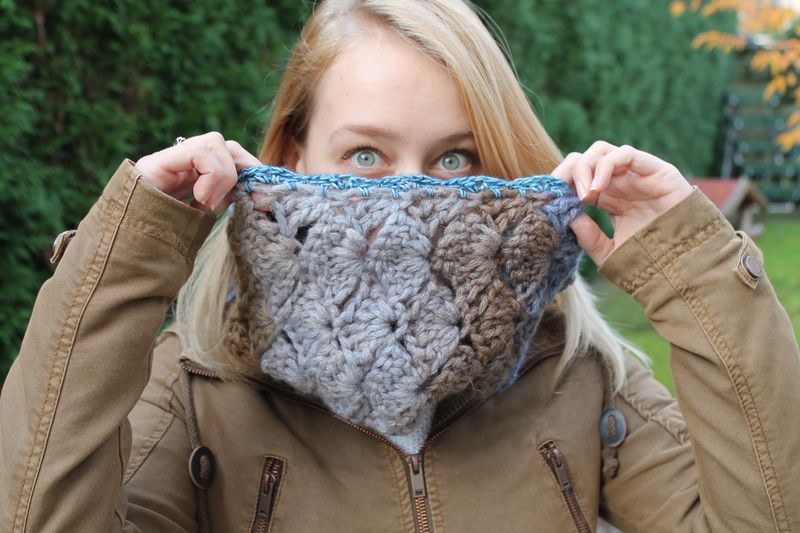 If you really want to support me and contribute $10 per month, you can even request tutorial videos, and you’ll receive a 20% discount code for my patterns! As a special thank you for contributing $10 per month, you will also be entered into a quarterly giveaway! 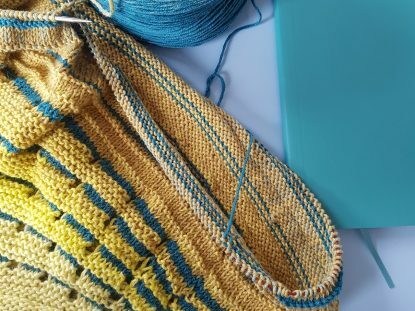 If you’d just like to support my work, there is also a support level for $2 per month, for which you will gain access to special Patreon-only behind the scenes stuff, such as a sneak peek into my designing process or natural dyeing! Please note that this level does not include any exclusive tutorial videos, although I will continue to post free tutorial videos every now and then on YouTube as well. 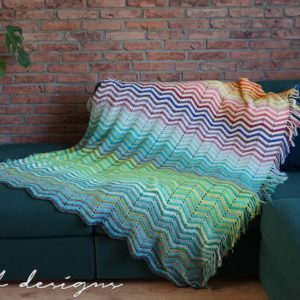 Chevrainbow Blanket - Free crochet pattern!